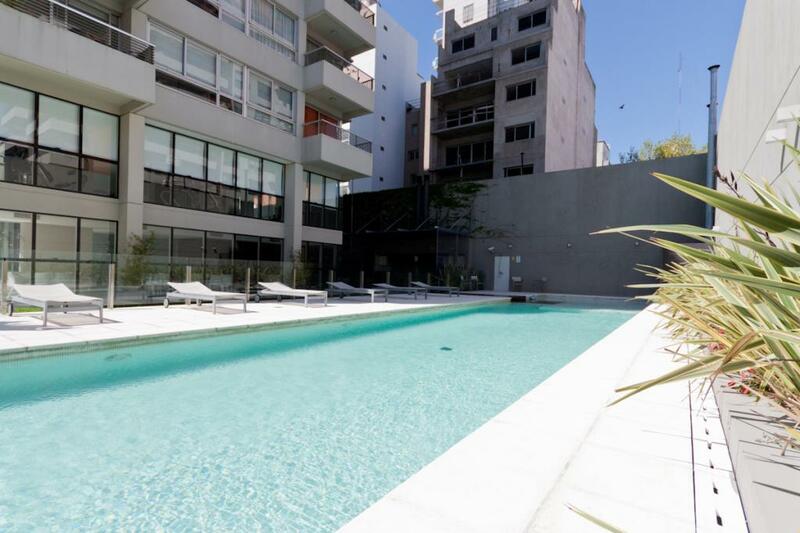 Beautiful 1 bedroom apartment situated in a 5 star building with amenities. Doorman 24hs. Very nice balcony, 1 bedroom with a comfortable mattress, 1 full bathroom. Aircons in lving and bedroom. Washing machine. Ironing board. Landline phone for localls calls.Wi Fi. Swimming pool for summer season. Fitness Center. Playground. Green garden. BBQ area. Party room. Laundry. Observations: Damage deposit is required which is refundable less any damage to the apartment.